After decades of dictatorship, Tunisia’s revolution set in motion a series of uprisings across the Arab world, laying the foundations for a flourishing democracy. It has become the sole “flower” of the Arab Spring and is now heralded as a role model for the Middle East and North Africa region. However, behind the shiny facade, the road towards democracy has certainly not been without barriers and Tunisia still faces numerous hurdles not only in managing security but also solidifying democratic institutions. Today, Tunisia has made enormous progress in its democratic transition – its future is determined by Tunisians themselves, able to choose their political leaders and their own path. 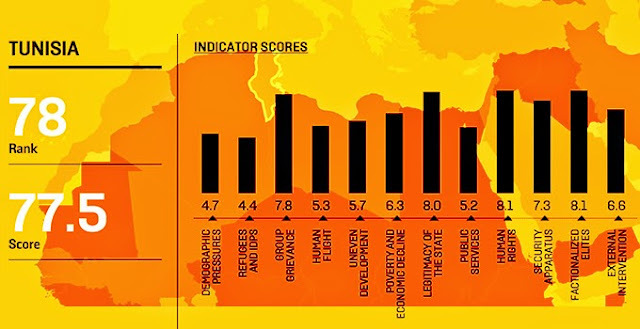 Freedom House described Tunisia in its annual report as “the Arab world’s only free country, the sole success story of the Arab Spring and a full-fledged democracy,” while the Economist Intelligence Unit classified Tunisia as the most democratic Arab state in its last democracy index. The “Tunisian exception,” political analysts say, resulted from a reconciliation between modern ideals and Islam, the neutral role played by army, a genuine multiparty democracy, a successful national dialogue initiative, and the massive role played by civil society pushing for an end to the Tunisian political crisis. 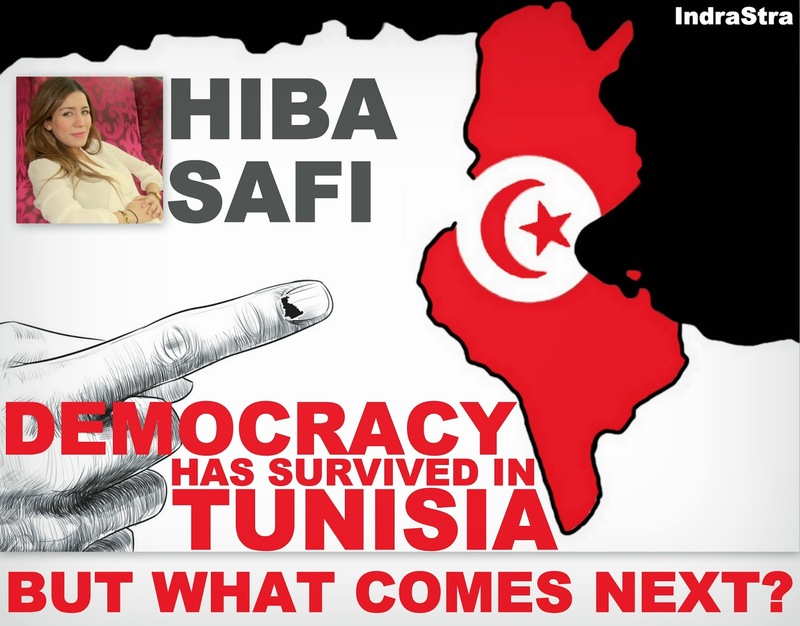 As a result of these and other factors, Tunisia underwent its first peaceful, democratic transfer of power in December 2014, accompanied by a newly elected parliament, the first democratic presidential elections, and a new constitution, all conducted in a free, fair, and transparent process. This peaceful political transition is seen as a positive example to the region that should bring hope in the midst of a bloody civil war in Syria, deeply embedded divisions in Libya, and chaos in Yemen. Tunisia now stands tall as the relative success story among the recent popular revolutions in the region. But to sustain this progress into the future, it must also get its economy on the right footing. “Tunisian economy needs three years of ‘painful’ reform,” - the outgoing Prime Minister Mehdi Jomaa said. Tunisia has achieved significant progress on the political front, generating a sense of hope. Nevertheless, the average growth rate was too weak to eliminate the kinds of economic problems that led to its revolution. While the last four years’ debates revolved around questions of security and political freedoms, Tunisia has been plagued by economic issues. The country has been facing deep-seated economic problems and disparities that cannot be ignored. Four years after the revolution, during which political and security matters demanded more immediate attention, Tunisia faces sluggish growth in output and investment. Tunisia’s economic growth registered 2.5 percent in 2014, down from the 2012 level (3.7 percent). It is now ranked 79 out of 175 countries on the Corruption Perceptions Index published by Transparency International. Inflation rates have averaged 6 percent, the unemployment rate is now around 15.2 percent, and a serious increase in the public debt ratio, which now accounts for 52.9 percent of GDP, led to a sharp deterioration in the balance of payments. For the icing on the cake, most international ratings agencies have downgraded Tunisia’s credit rating, putting further pressure on its struggling economy. Despite several attempts by Jomaa’s government of technocrats to lead reform efforts, the country is fatigued by a still incomplete democratic transition, and the economic situation remains fragile. The fact is that when it comes to reviving the national economy and setting up well-conceived policies, so far, Tunisia does not have the will or support to implement bold economic measures to address errors of the past. “To pass reforms, you need a large consensus,” indicated Mehdi Jomaa. Needless to say, economic grievances, including regional disparities and unemployment, were largely at the root of the Tunisian uprising that swept away a dictatorial regime in January 2011, and there are still high expectations on the part of citizens to see their living conditions improve. Tunisia presents an economic paradox – it has everything it needs to become the most competitive economy in Africa, yet it is still not meeting its economic potential. To increase the country’s growth, Tunisians need to be committed to boosting the economy and putting it at the top of Tunisia’s agenda, generating more and better quality jobs, supporting competition, providing equal opportunities for all, and promoting the private sector. Today, Tunisia is perhaps the only country in the Arab world that is preserving the values of democracy, and therefore a package of economic and policy support from Western democracies is urgently needed to address its major challenges. This article was first published at CIPE Washington D.C. and at Atlas Corps Think Tank under Fellowship Link , which brings talented young professionals with strong research backgrounds to shadow researchers and experts at leading U.S. think tanks for six months.